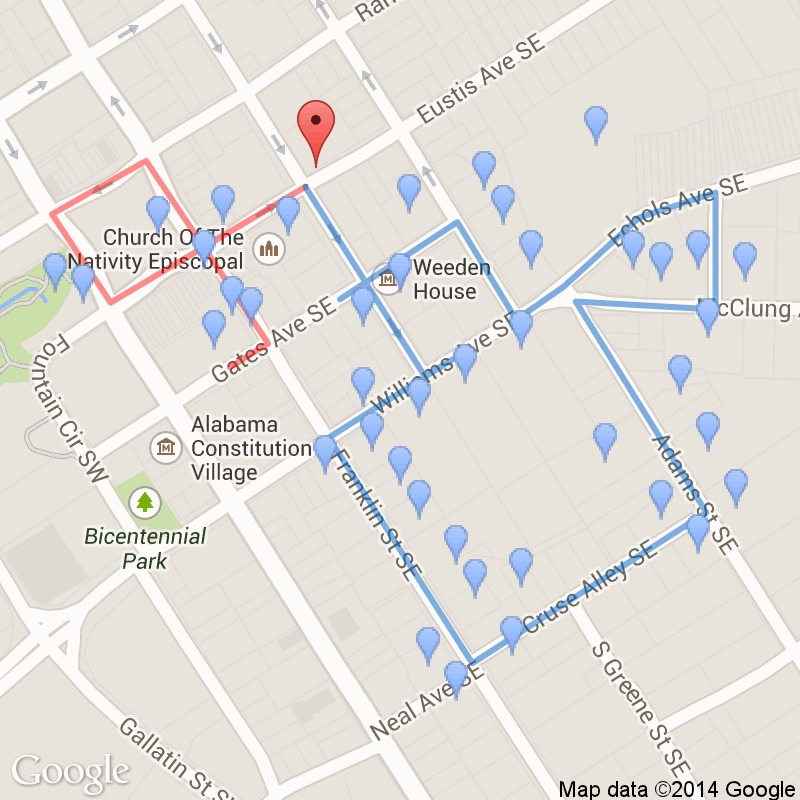 Notice the Calhoun House Historic Marker across the street on the corner of Eustis and Greene. Here was considered to be the finest house and garden in the town. The house and the grounds that filled this entire city block was so sophisticated it reminded one traveler of the Louvre in Paris. Judge William Smith, who turned down an appointment in the Supreme Court, so that he could stay home and give full voice to his political opinions, built the house. Judge Smith's first order was for three million bricks, and that was just for the wall around the house. 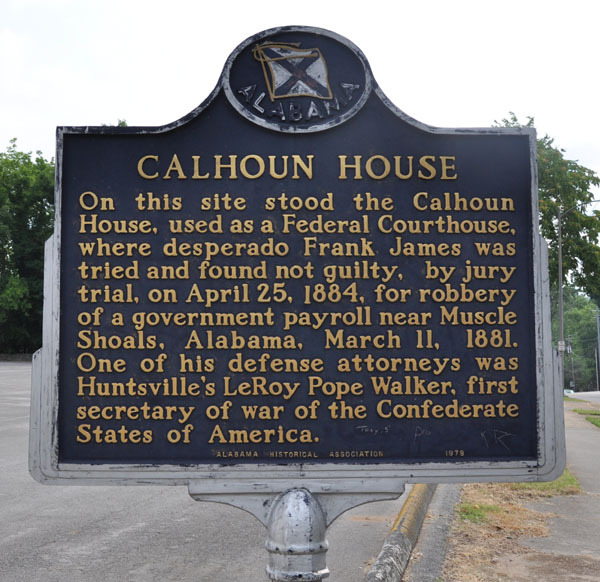 The house became known later as the Calhoun House for his grandson-in-law. 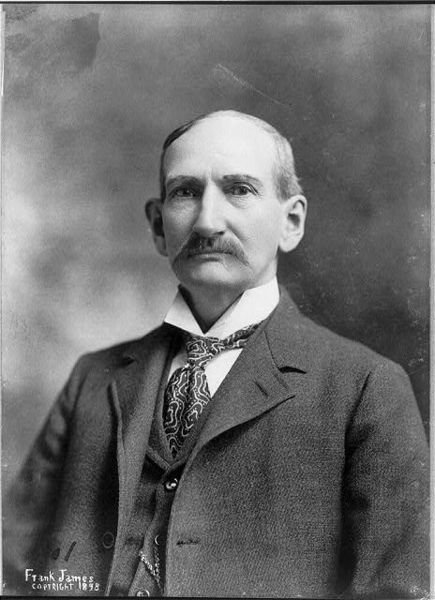 Its greatest fame was the site of the trial of Frank James for bank robbery. The jury of twelve good men and true found him innocent of the deed and their good friend, Frank James, treated everyone to drinks that night at the local tavern. The Smith-Calhoun House was demolished in 1911. 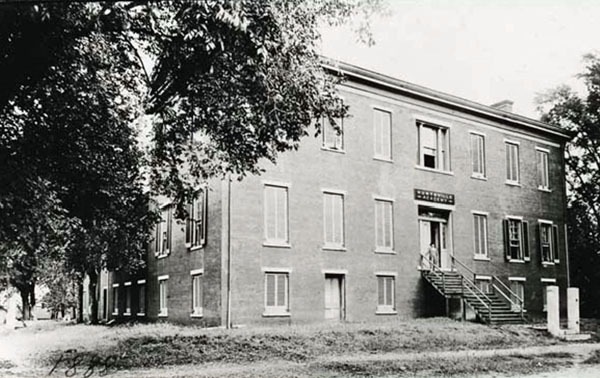 "Huntsville Academy, 1888. Greene and Eustis, formerly known as the Calhoun House. In 1870 it was the Federal Troops Post Headquarters. The Frank James trial was held in this building in 1884."